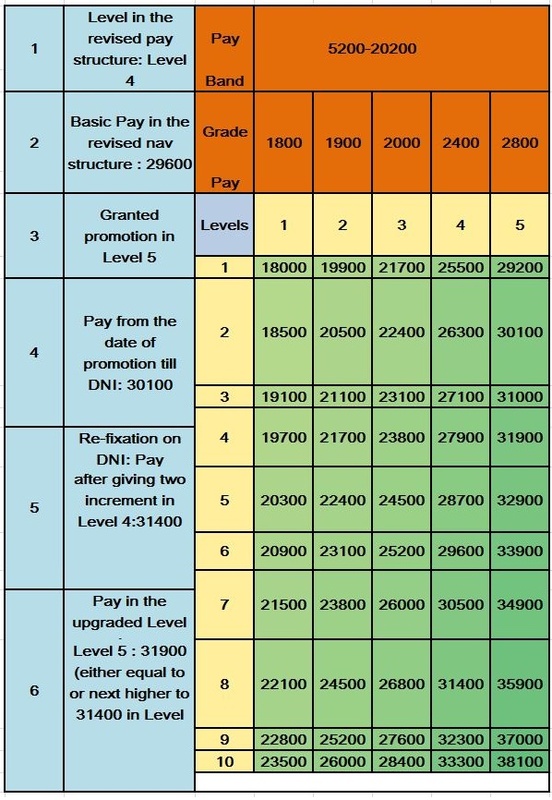 Sub: Availability of option for fixation of pay on promotion from the Date of Next Increment (DNI) in the lower post and method of fixation of pay from DNI, if opted for, in context of RS(RP) Rules, 2016 – regarding. 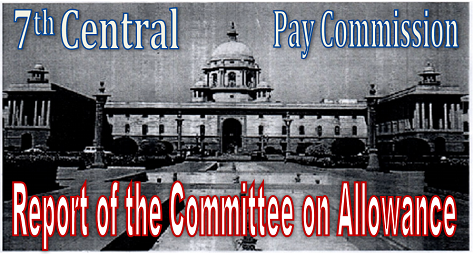 1.Consequent to implementation of ih CPC recommendations, various doubts have arisen over the issue of relevancy of provisions ofFR 22(I)(a)(l) as well as the methodology of fixation of pay on promotion to a post carrying duties and responsibilities of greater importance, of a Government Servant in case he opts for pay fixation from the Date of Next Increment (DNI). 2. It was advised to all the Zonal Railways vide Board’s letter of even no. dated 09.03.2017 that the issue has already been referred to Ministry of Finance. 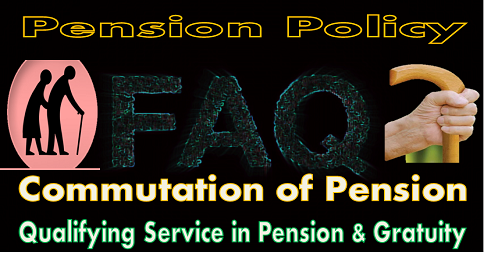 Now a detailed clarification over the issue has been issued by Ministry of Personnel, Public Grievances and Pensions, Department of Personnel & Training (MoPPG&P/DoP&T) vide their O.M No. 13/02/2017-Estt. (Pay-I) dated 27.07.2017 (copy enclosed). 3. The clarifications issued by MoPPG&P/DoP&T vide their O.M. dated 27.07.2017 will be applicable mutatis mutandis in Railways w.r.t. RS(RP) Rules, 2016. 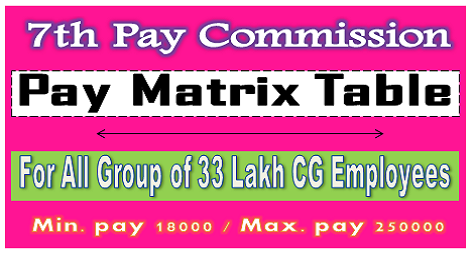 Subject: Availability of option for fixation of pay on promotion from the Date of Next Increment (DNI) in the lower post and method of fixation of pay from DNI, if opted for, in context of CCS (RP) Rules, 2016-regarding. 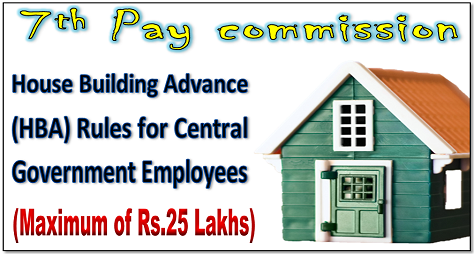 1.Prior to implementation of 6th CPC Report, the pay fixation on promotion was governed by provisions of FR 22(I)(a)(1). 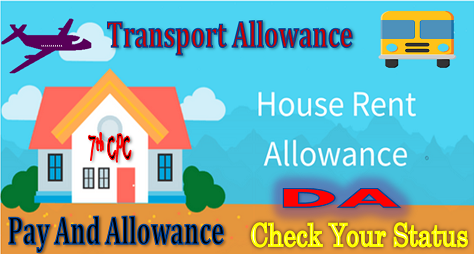 In 6th CPC context, the first part of FR 22(I)(a)(1) was replaced by Rule 13 of CCS (RP) Rules, 2008. 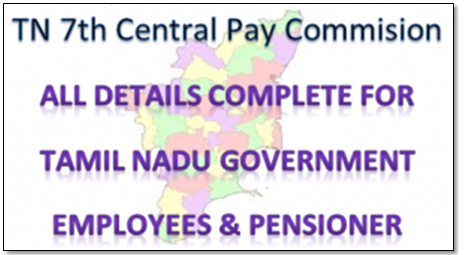 Similarly, consequent upon implementation of CCS (RP) Rules, 2016 in 7th CPC context, the pay fixation on promotion is regulated by the provisions of Rule 13 of CCS (RP) Rules, 2016. 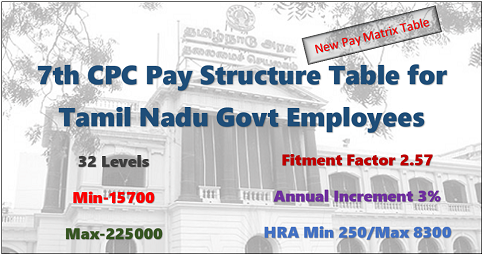 This rule regulates pay fixation on promotion if the same is opted by the employee from the date of promotion itself.The issue of relevancy of provisions of FR 22(I)(a)(1) as well as the methodology of fixation of pay on promotion to a post carrying duties and responsibilities of greater importance, of a Government Servant in case he opts for pay fixation from the Date of Next Increment (DNI) has been considered in this Department. (i) FR 22(I)(a)(I) holds good with regard to availability of option clause for pay fixation, to a Government Servant holding a post, other than a tenure post, in a substantive or temporary or officiating capacity, who is promoted or appointed in a substantive, temporary or officiating capacity, as the case may be, subject to the fulfilment of the eligibility conditions as prescribed in the relevant Recruitment Rules, to another post carrying duties or responsibilities of greater importance than those attaching to the post held by him/her. Such Government Servant may opt to have his/her pay fixed from the Date of his/her Next Increment (either 1st July or 1st January, as the case may be) accruing in the Level of the post from which he/she is promoted, except in cases of appointment on deputation basis to an ex-cadre post or on direct recruitment basis or appointment/promotion on ad-hoc basis. 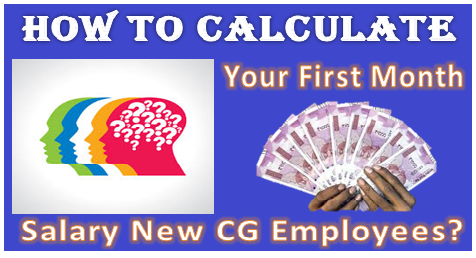 (ii) In case, consequent upon his/her promotion, the Government Servant opts to have his/her pay fixed from the date of his/her next increment (either 1st July or 1St January, as the case may be) in the Level of the post from which Government Servant is promoted, then, from the date of promotion till his/her DNI, the Government Servant shall be placed at the next higher cell in the level of the post to which he/she is promoted. (iii) Subsequently, on DNI in the level of the post to which Government Servant is(iii) Subsequently, on DNI in the level of the post to which Government Servant is promoted, his//her Pay will be re-fixed and two increments (one accrued on account of annual increment and the second accrued on account of promotion) may be granted in the Level from which the Government Servant is promoted and he/she shall be placed, at a Cell equal to the figure so arrived, in the Level of the post to which he/she is promoted; and if no such Cell is available in the Level to which he/she is promoted, he/she shall be placed at the next higher Cell in that Level. 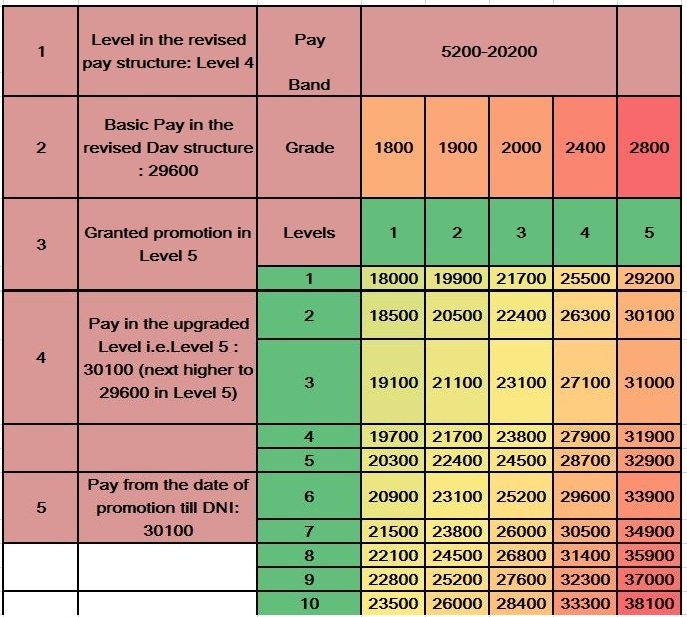 (iv) In such cases where Government Servant opts to have his/her pay fixed from the date of his/her next increment in the Level of the post from which he/she is promoted, the next increment as well as Date of Next Increment (DNI) will be regulated accordingly. 5. 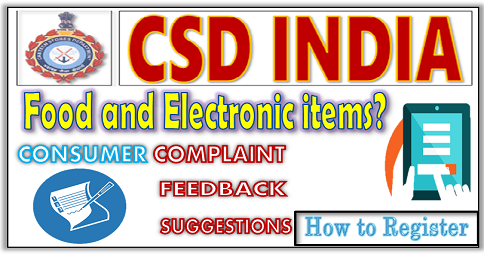 In so far as their application to the employees belonging to the Indian Audit and Accounts Department is concerned, these orders issue in consultation with the Comptroller & Auditor General of India.